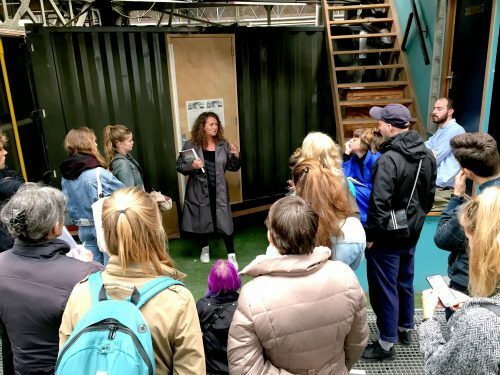 From October 2 to 7, 2017 Stichting NDSM-werf – in collaboration with Michiel van Iersel and Afaina de Jong – organized the NDSM (End of) Summer School. 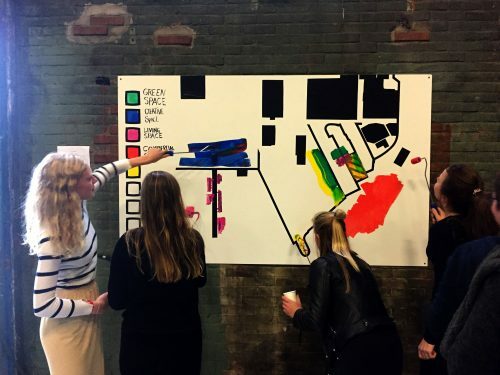 During this workshop a team of architecture history students from the Vrije Universiteit (VU) and DesignLAB students from the Gerrit Rietveld Academie collectively analyzed what is the value of the NDSM and how it can develop within the expanding city. Following a pressure-cooker method participants moved from introduction to analysis and from research to the development of creative output all within the limited time of one week. 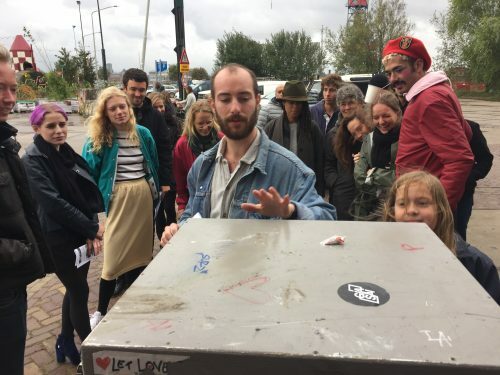 Within the limited time of 6-days the NDSM Summer School culminated in a public exhibition conjoining five different collaborative projects by participants. Here follows a visual report from the NDSM Summer School 2017. Constructive dystopia as the way forward. 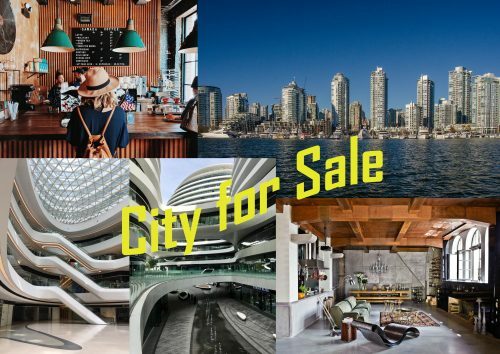 A sci-fi tale of the city that follows the gentrification-cycle and investigates different notions of emptiness. Read the complete story here. How much space do You need to be creative? Is it about the working space or working will? Don’t get used to the setting too much, otherwise you might become resistant towards the surrounding. This portable work cabin aims to bring back awareness of how little you need to create a lot. A gamechanger for all the people involved with the NDSM. Get into another role and answer critical questions about the wharf. 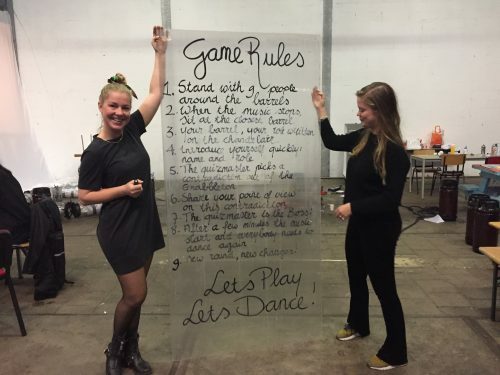 Let’s Play, Let’s Dance! Who decides how the space of the NDSM should be used? Use your voice to co-creating a democratic mess! Because everyone’s opinion should be heard. The NDSM through the eyes of an outsider. 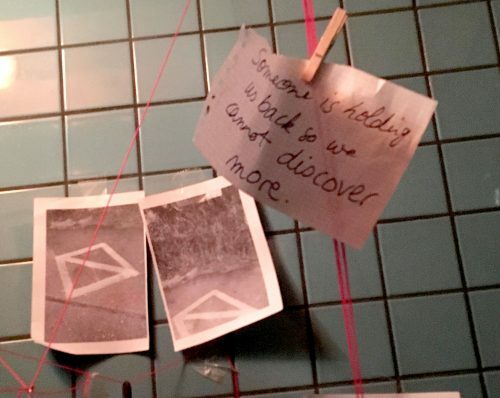 A thrilling interpretation of the story of the NDSM on the basis of scraps and fragments of information overheard and uncovered.